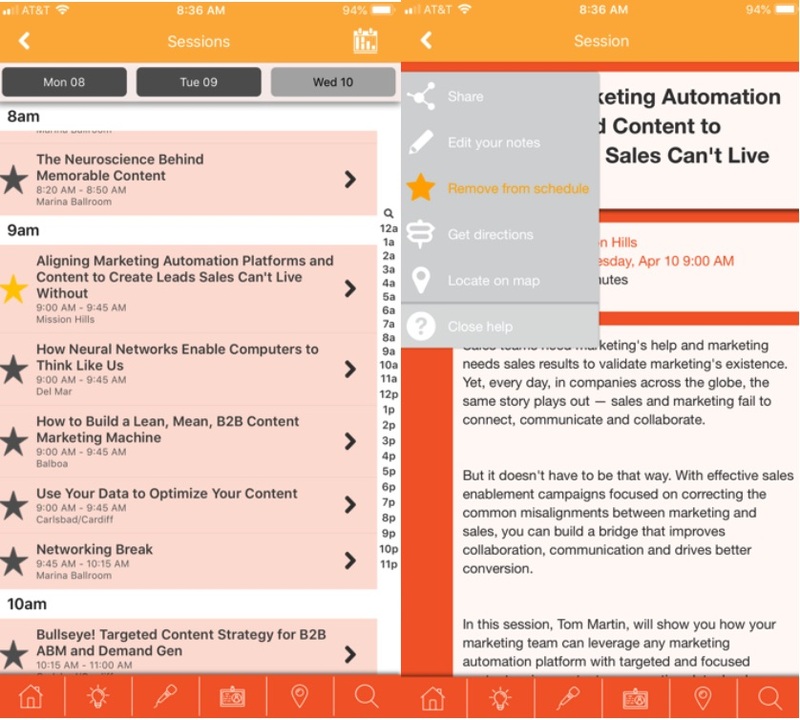 The CMI team has been hard at work creating a new mobile app experience for ContentTECH Summit 2019, and we’re happy to say it’s ready for you to download! It will help you bookmark sessions, connect with other attendees, find your way around the event site and so much more. But first: Haven’t registered yet? STOP. 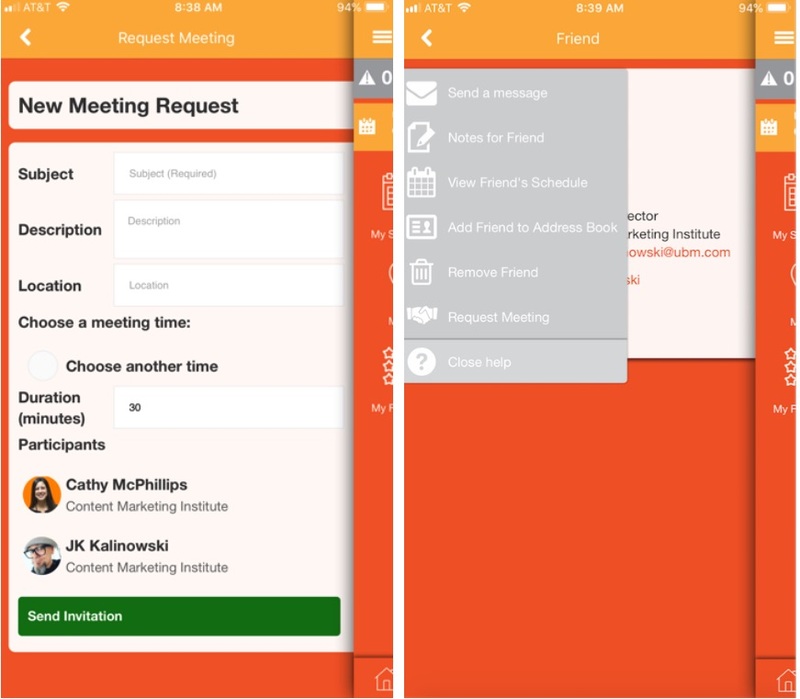 Go immediately to our registration page and sign up, because #CMWorld app access is only given to registered attendees. 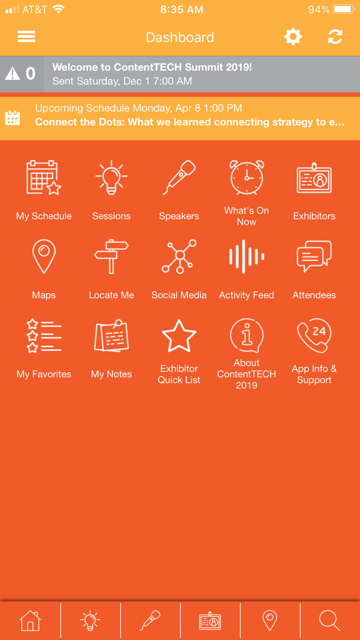 Download the app – Visit the app store and find the ContentTECH Summit app in iTunes or Google Play, or by searching “ContentTECH.” This is a new app this year. Log in to the app – Please use the same email and password you used to register for ContentTECH – they are your credentials for the app. Update your profile – Start by updating your profile. Click on the hamburger menu in the top left corner, then on the blank profile photo. You can then fill in your contact information. Don’t forget to check the box that says “Tap here to publish your profile to the Attendee Profiles list to engage with other users of the app.” Fill in everything and then scroll to the bottom and be sure to save the information. Hit the back arrow in the top left so you can begin to look around. By now you’ve navigated the agenda on the website and have an idea of which sessions you’d like to attend. If not, that’s OK! The app is easy to use and you can decide which sessions to bookmark along the way. Build your perfect schedule! – Star the general sessions or networking breaks, just so they show on your schedule and so you can see it all at a glance within the app. Scroll through the “Sessions” and you’ll see the times of each general session, breakout session, networking break and more. You’ll want to definitely bookmark your breakout sessions, although all sessions are first come, first served. You can always change your mind, but it’s best to have an idea of what you’d like your time at ContentTECH Summit looks like. If you click on a session, you’ll get more details. When you’re ready to add this to your tentative schedule you can click the star on the left side. When it has been added to your schedule the star will turn orange. Changed your mind and want to attend another session? With another quick click on the star, you can easily remove bookmarked session from your schedule. Lastly, go ahead and star the general sessions or networking breaks, just so they show on your schedule and so you can see it all at a glance within the app. Network with attendees – You can begin to network with attendees by clicking on the “Attendees” section or start a conversation in the “Activity Feed” section. Check out the expo hall and the sponsors so you can plan who you would like to meet with to solve your biggest content marketing and technology challenge, follow speakers to see what topics they’ll be tackling at ContentTECH Summit, and so much more. 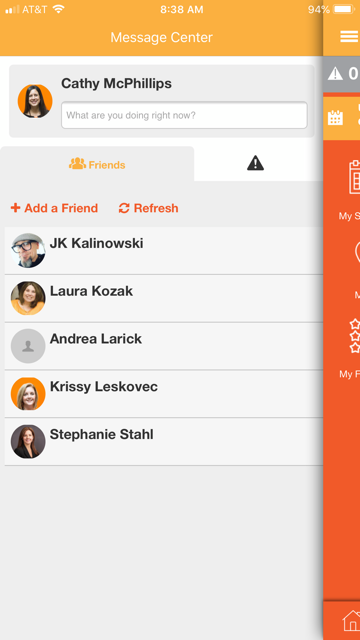 And finally, once you’ve downloaded the app, connect with the #CMWorld community on Twitter. Conversations are already starting. You can see them on Twitter, or in the app! We all love this conference and know that it’s one of the best places to make great connections with other marketing professionals. With the app, you can network to your heart’s content by creating a full and rich profile, messaging with other attendees and swapping contact info with the click of a button. What’s On Now – You had the best intentions of planning your schedule in advance, but you forgot one breakout time slot. Click on What’s On Now and you’ll see your options! Locate Me – Our event space is seemingly straightforward – until your bearings are off. Look around, see where you are, and go to Locate Me in the app. It will help you get to where you’re trying to go. Troubleshooting – If you have forgotten the password – or the app is not letting you login with what you think is your password, please hit the “Forget Password” link on the sign on page to reset it. Not yet registered? Fear not, there is still time. Visit our registration page and get signed up today. As a bonus, use code BLOG100 to save $100! We can’t wait to see you! If you are having login issues with the app and resetting your password isn’t helping please contact [email protected] or fill out our contact form. If you have any other technical questions about the app itself, let our app team know at [email protected] or (443) 424-2673. If you have event-related questions, leave us a comment here and we’ll get back to you.